VAPODEST is available with different levels of automation. A high degree of precision and universality make the Kjeldahl method the world’s leading standard method for determining the nitrogen content in food and feedstuffs as well as in soil and water samples. This versatile method is also found in the general or pharmaceutical industries, or where ever the nitrogen determination is important. 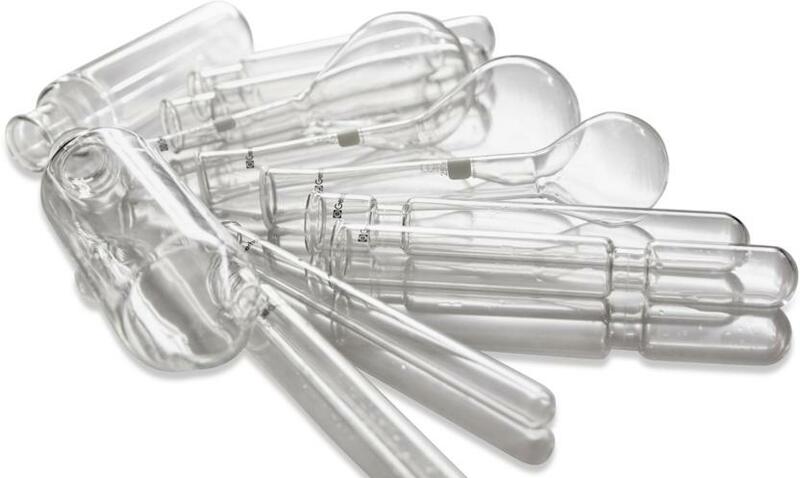 The Kjeldahl method can be used flexibly and universally, including with inhomogeneous sample material, and always provides reliable results. When other methods are applied, the Kjeldahl method is often used as the reference method. 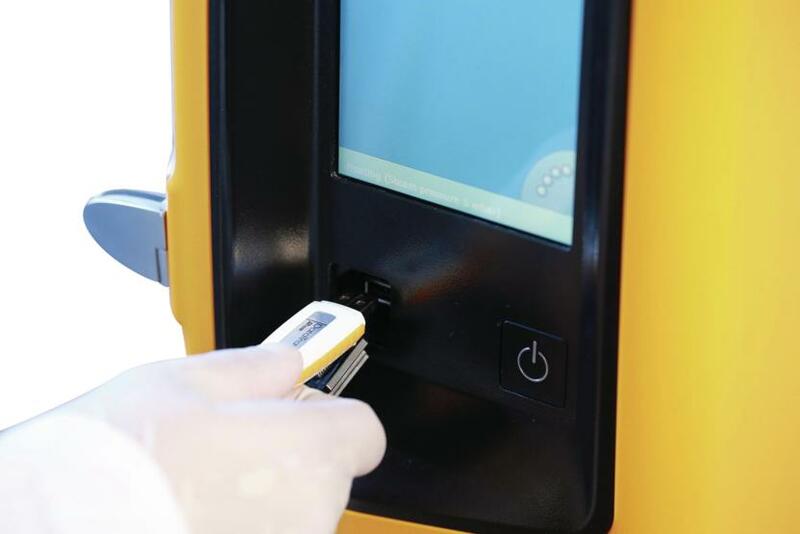 C. Gerhardt automates the process steps in classic procedures, reducing error rates and helping laboratories improve productivity, reliability of analysis and occupational safety. 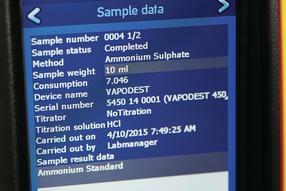 We standardise analysis conditions and ensure the validity and reproducibility of analysis. 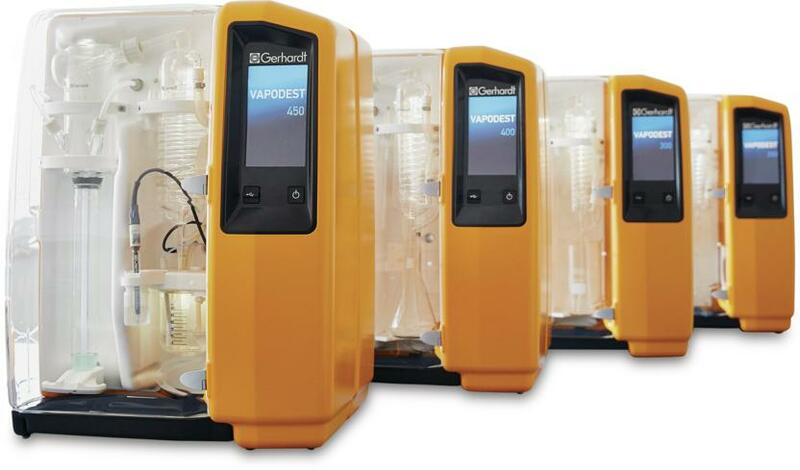 VAPODEST® distillation units combined with one of the KJELDATHERM® systems meet at minimum the requirements for precision in terms of recovery and repeatability to conform with the official international reference standards, such as §64 of the German Food Law, ASTM, AOAC, EPA, DIN/EN/ISO, VDLUFA, Gafta. Regular successful involvement in ring tests such as GAFTA, FAPAS or VDLUFA, MUVA underline the capability of the equipment. Laboratories with DIN EN ISO/IEC ISO 17025 accreditation are required to ensure precise, secure data and document handling, as well as the traceability of measurement results. 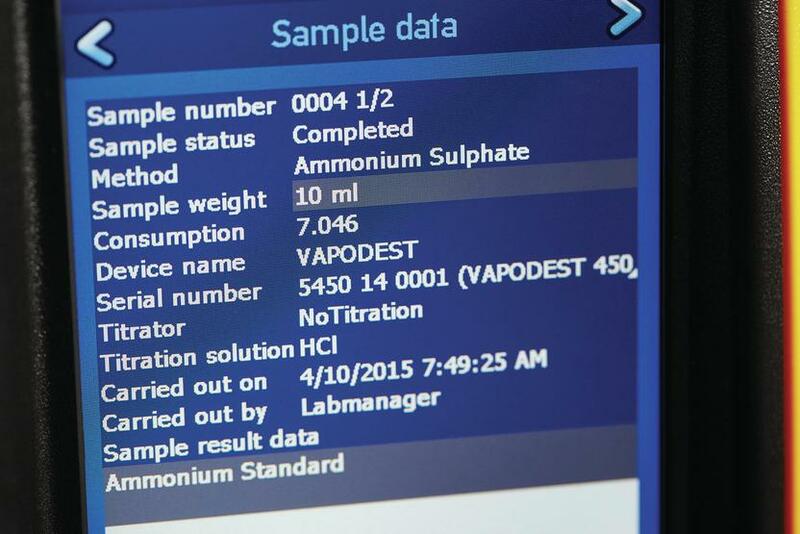 VAPODEST provides ISO 17025 compliant support for the analysis process. All relevant values, settings, user data and methods are automatically logged. 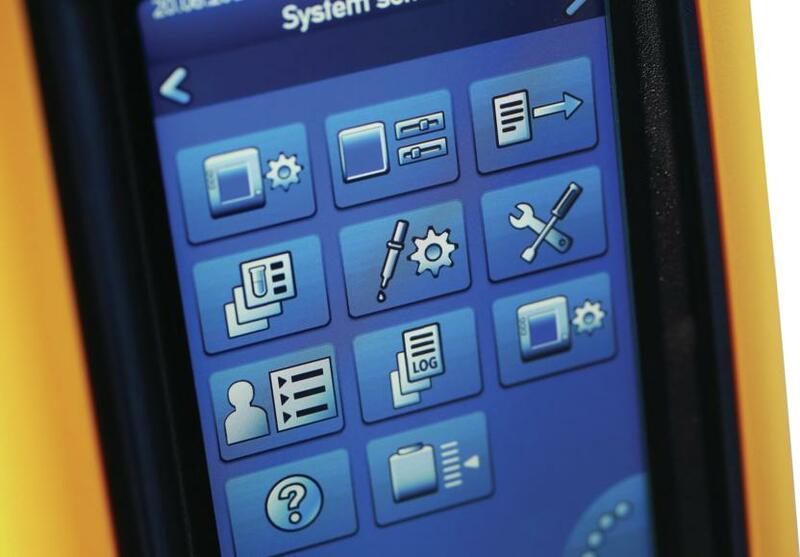 The data can be exported via USB stick and prepared into ready to print ISO 17025 compliant documentation with the C. Gerhardt software (optional accessory). VAPODEST uses simple, modern operation, with menu navigation designed to resemble a tablet PC or smartphone. Data can be input using finger touch navigation or a stylus – or even laboratory gloves – via the 7-inch TFT full colour display. Data input is also possible using a mouse or a keyboard. The transparent safety door allows a clear view of the glass components relevant to distillation. Reactions can be tracked in the illuminated distributor head and cooler. A status bar in the display provides clear information regarding the progress of the analysis. High-quality, carefully coordinated components within the VAPODEST make the systems robust and ensure a long service life. The sophisticated resource management including configurable cooling water consumption and an energy saving mode for rest periods keeps the cost down: virtually no other comparable devices achieve such low total operating costs. C. Gerhardt has been specialising in the development and production of analysis systems for nitrogen/protein determination according to Kjeldahl for more than 130 years and offers extensive experience in Kjeldahl methods worldwide. 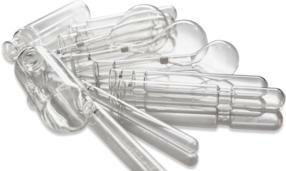 Collective specialist expertise and state-of-the-art technology come together in the VAPODEST distillation units. Together with one of the KJELDATHERM digestion systems they build at present the best system combination for Kjeldahl analysis all over the world. VAPODEST steam distillation units are suitable for all established methods of Kjeldahl determination, but are commonly used in addition for many other steam distillations, such as for the determination of cyanide, SO2, ammonia, phenols, sorbic acid or alcohol content. Request information now or download our brochure.